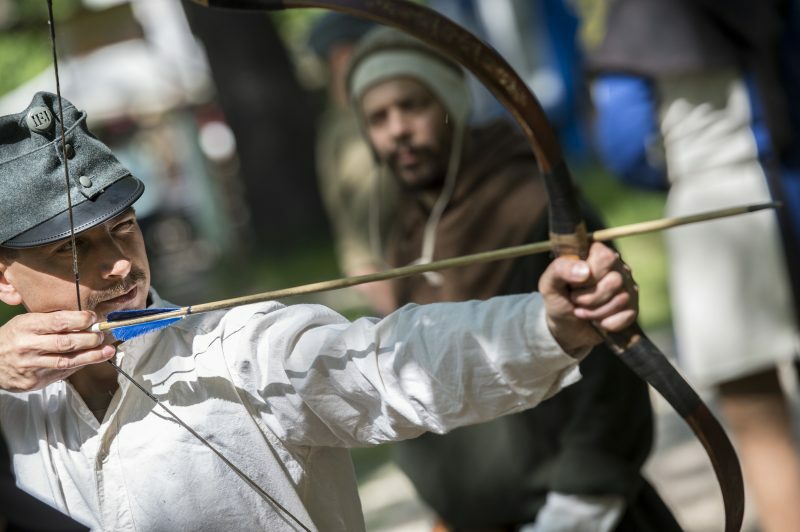 Historical re-enactors in Budapest in 2016. Photo courtesy of kormany.hu, the website of the Hungarian Government. The Hungarian Ministry of Defense is funneling thousands of euros to sports associations and history re-enacting groups to inculcate a sense of patriotism in young people, a story by Atlatszo.hu, an independent investigative outlet, has revealed. The Ministry’s allocated budget to NGOs increased from 760,000 in 2014 to 5,6 million euros in 2018 (860,000 and 6,4 million US dollars, respectively). But while funds for trade unions, veterans, cultural programs, and historical societies remained stable, sports associations’ budgets have risen over tenfold in that period. Historical re-enactment societies, memorial organizations, and military history research groups have also received public grants — a total of 125,000 euros (142,000 US dollars) in 2018, and 692,000 euros (784,000 US dollars) over the past five years. The Ministry of Defense’s approach matches the broader education strategy by Prime Minister Viktor Orbán, whose government has rewritten the national curriculum multiple times over the years to include military training and military history. Recently, Orban appointed former Minister of Defense István Simicskó as the Government Commissioner for Patriotic Education, who will be in charge of revising the curriculum to instill, in his own words, a “healthy national identity” in school kids. In 2016, the government announced they would build 197 shooting ranges around the country that will cost 81 million euros. Critics at that time said Orbán was creating a massive paramilitary force. Titled “Hungary: A smooth way to better patriotism,” the story by Anita Kőműves is part of a broader investigation by Vsquare.org’s on the militarization of patriotism in the Visegrad countries (Hungary, Poland, Slovakia, and the Czech Republic). Kőműves’ story is based on data obtained directly with the Ministry of Defense of Hungary.